hybrid team! 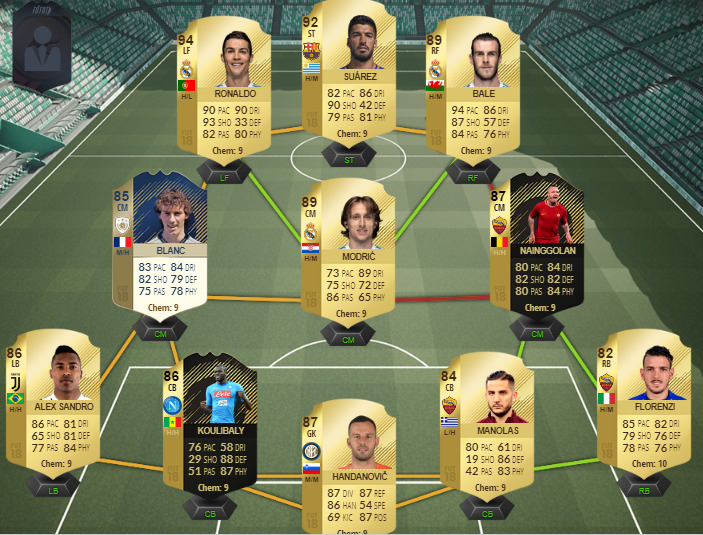 [azerbaijanfifa] Mein hybrid team! This squad is worth 4 millions coins X1, but I'm not happy.. I prefer 4-1-2-1-2(2), 4-4-2, 4-2-3-1 formations, i can change in 1 min. Modrić NIF is weak in CM, Florenzi too, Bale CAM too, but i dont have idea. It's hard to connect CR7/Bale/Suarez without 3 legends in CM. My all budget is 4.2 millions coins. Can u help me? I dont have idea's. 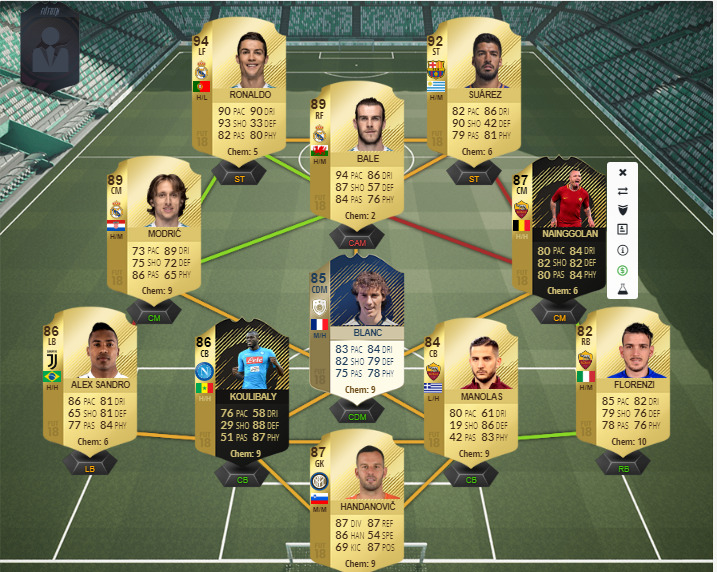 I can upgrade this squad, but how? CR7, Suarez are amazing, but i think it's time for changes? Help me plase! build me strong squad! Cheers. Sorry, for my English, im from Azerbaijan.